Leading business woman and BBC ‘Dragon’, Sarah Willingham, is calling upon the British public to vote on which company makes the biggest contribution to the community, as part of the eighth annual Nectar Business Small Business Awards. The Awards, which celebrate the achievements of successful small businesses and business people across the UK, are judged by a panel of respected industry figures including Sarah Willingham; Adam Collett, Marketing Director at Brakes; Richard Carvell, Director Digital & Direct Marketing at Viking; Shannon Diett, VP Marketing at DHL and previous Nectar Business Small Business Awards winner, Melissa Snover. As in previous years, the Contribution to the Community Award will be open to a public vote until 22 October, where fans of the Facebook.com/nectarbusiness page will have their say, and help to decide this year’s winner. “This year I have been absolutely blown away by the number of entries and the sheer quality of those businesses that have entered the Nectar Business Small Business Awards. “The Contribution to the Community Award celebrates how a business’s success isn’t just decided by how much money it makes, but what it stands for and what it means to the community it exists in. The other categories include Small Business of the Year, Home Grown Business of the Year, Innovation of the Year, Entrepreneur of the Year, Tradesperson of the Year and two new categories; Apprentice of the Year and Best Use of Technology. 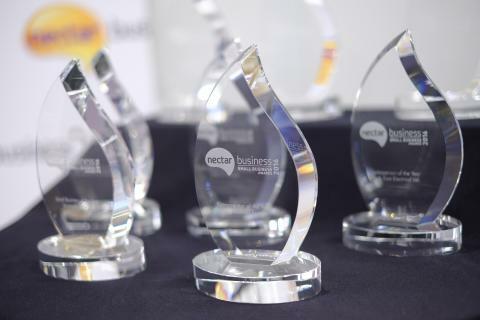 For further details on the Nectar Business Small Business Awards 2016 and a full list of shortlisted companies, please visit www.nectarbizhub.com.